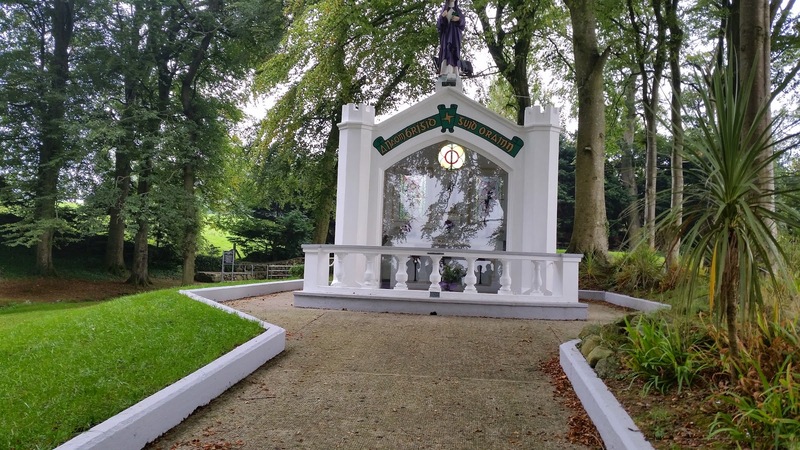 The Diocese of Killaloe is being accused of ignoring the views of it's parishoners in Clare, who want it to revamp it's plans for a permanent diaconate. That's only open to men, who will undergo training to officiate at events including births, weddings and funerals - women are not permitted to apply. This has been criticised in many communities, with posters erected stating that women have been victims of discrimination. Mary Mother of Jesus, Augustinian Church, Limerick, Ireland. Archbishop Mel ordained Brigit a bishop according to The Irish life of Brigit. She presided over a double monastery of women and men with Bishop Conleth. Sheela-na-gig, a fertility figure hidden under the tomb by the door at St. Brigit's Cathedral in Kildare, is associated with the ancient goddesses and represents fertility. This image appears above the doorway of early Celtic monasteries like St. Gobnait's in Ballyvourney as a reminder of abundance and blessing of holy women as images of the Divine Feminine. St. Brigit 's Cathedral is built on the site of Saint Brigit's fifth century foundation. Some scholars believe that Brigit's monastery was originally the site of druidic priestesses who converted to Christianity. Still in existence are the foundations of the fire building where Brigit's sisters tended "Brigit's fire" a perpetual flame kept burning by Brigit and her nuns from the sixth century until the destruction of the monasteries in the sixteenth century. Ger is in photo taken by Noreen. Holy Trinity Catholic Church in Rathdowney, County Laois. St. Brigit is depicted with pastoral staff and the cross that she wove. St. Brigit, (also spelled Brigid or Bridget) presided over a double monastery of women and men in Kildare in 5th century Ireland. Mary Theresa Streck, ARCWP, blesses her sister Joan at St. Brigit's well in Faughert, birthplace of St. Brigit on Irish Mystical Journey in September. 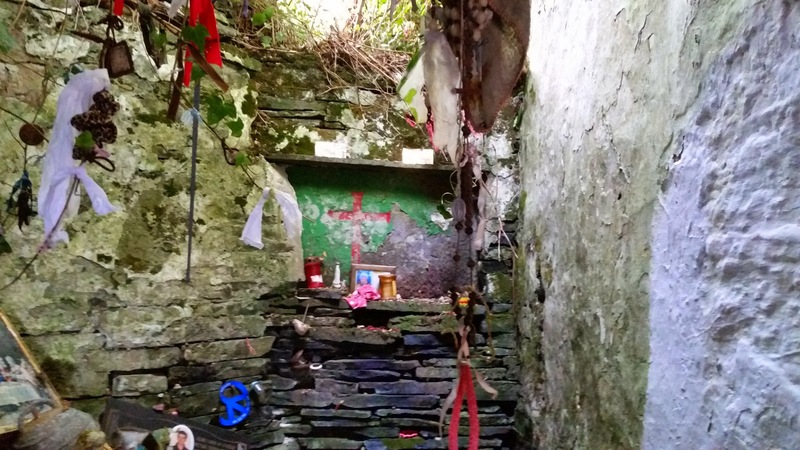 St. Brigit's Holy Well, Liscannor, near Cliffs of Moher. People leave behind cards, photos, medals, cloths, etc. 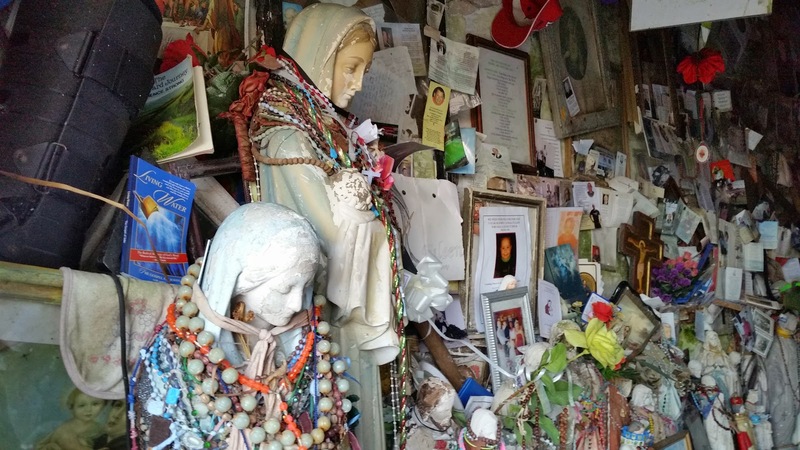 as offerings of love and devotion at holy wells in Ireland.